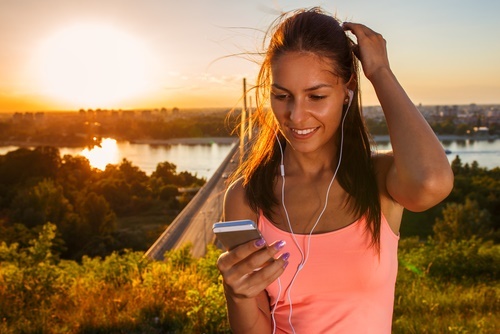 One of the best motivations to help you sustain your rhythm and energy while working out is listening to music. It keeps you going, keeps you upbeat, and makes working out a lot more enjoyable. Sure you can use your smartphones while working out, but this tends to be bulky and distracting. This is a reason why most people who love to workout prefer to have an MP3 player with them. Not only is it handy, but it also is lightweight and requires less effort to control. There are a lot of MP3 players you can choose from but looking for the one that is best for running and exercising can be hard. After considering all these factors that we have mentioned above, we have rounded up the best MP3 player for running that may be some great suggestions down below. This mp3 player is topping our list since it has all the features that you could wish for in a good MP3. It is sleek, lightweight, and waterproof. This little MP3 It has a battery life of up to 15 hours and 2Gb of storage enough to hold songs and audio workouts. This iPod Shuffle by Apple also has the best voice over feature. This feature will allow you to go through your playlist or choose songs without pushing buttons, having to stop your routine, or even take your eyes off the exercising machine. It also comes with a strong built-in clip that you can attach to your clothes as you run. Aside from that, this iPod is also waterproof. So, if you are thinking of listening to music while you’re swimming this sounds perfect for you. This MP3 has features that you need for a dedicated music player. 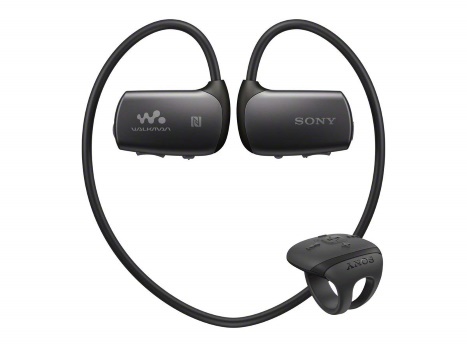 It offers great comfort while running, plays good quality of music, and is lightweight. It also has a storage of 4Gb that is big enough to store all of the music, audiobooks and audio workouts that you can make use of. 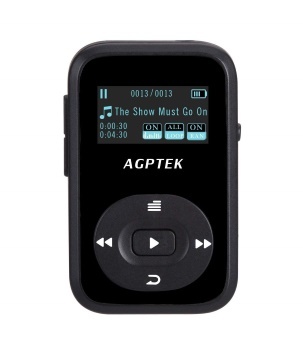 To control the MP3, this MP3 player comes with a remote control that allows you to change volume and skip music. The battery, however, lasts only for up to eight hours, but this is not a big problem as the device only takes three minutes to get a 60-minute playback. Both of the headset and the remote are also waterproof, so you can use them rain or shine. Can be used as an FM radio and digital clock. This mp3 player has all the features of its expensive counterparts at a lower price. It is a Bluetooth MP3 player with an 8Gb storage. If you wanted to expand its capacity, this silicon cased music player can hold up to 64Gb through a Micro SD card. Aside from its huge storage capacity, it also allows wireless connection to a Bluetooth headphone speaker. Although it charges longer than the other MP3s, it is all worth the wait as its playtime lasts for 30 hours! It can be an FM radio too, a digital clock and allows LRC format lyrics to be displayed on its digital interference as you play the songs. To top it off, it is sweat proof and has a back clip that you can easily attach to your clothes. 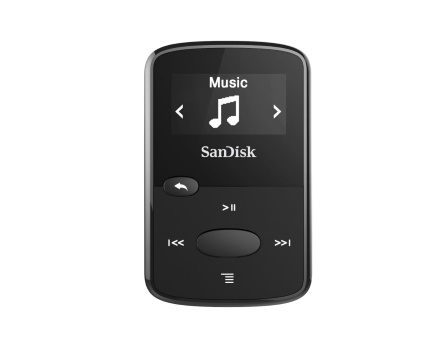 This MP3 player by Sandisk almost has the same features as AGPTEK A26 8GB Bluetooth MP3 Player. It has a built-in MicroSD card, can double into an FM radio, and is priced below $30. Its 8Gb storage allows you to transfer up to 2000 songs and add more to it by inserting MicroSD card. It also supports common audio formats like MP3, WMA, AAC, WAV. It is also very lightweight and comes in with a built-in clip that makes it easier to attach to your shorts or your shirt. The battery life of this device can last up to 18 hours. This mp3 player serves a double duty. 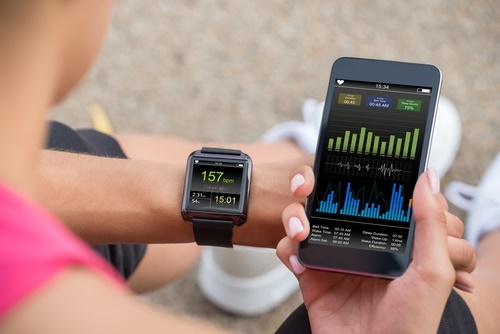 Being a fitness tracker, it allows you to monitor your progress throughout the day and the time you have been active, as well as all the calories you burned. It can also measure your heart rate before, during, and after you exercise. It is capable of storing 500 songs and is cordless. This mp3 player can conveniently help you track your progress as you run while giving you the music that you need to keep going. Size – For running, it is ideal to choose an MP3 player that is small and lightweight. A small and light-weight MP3 player makes it ideal for exercise. It minimizes the chances of making it destructing as you do your exercise routines. Although you can resort to a larger MP3 that you can strap around your arm, the smaller the MP3 is the better. Buttons – MP3 with physical buttons is advisable when you are looking for an MP3 that you want to use while running or exercising. Touchscreens MP3 can be hard to operate while you are exercising. Not only that it will require you to look at the screen to make it work, it also does not work well with sweaty hands or with gloves. Storage Capacity – MP3 players may be small, but its capacity is more than what you need. Even a 2Gb MP3 player can contain a good 14 hours of music. There are also some varieties with larger storage that you can choose to contain more music that you can use over time. Battery Life – The usual battery life of an MP3 player lasts for over 12 hours. This battery life is long enough to endure 3 days of working out for four hours! User Interface – MP3 players with a good user interface make it easier to connect, store, and transfer music that you want. There are a lot of MP3 players in the market that could be ideal for running, but often times their user interface is awful and dreadful for their users. This is a reason why Apple iPod was a success because their user interface works a lot better than the other MP3 players available in the market. Waterproof – Waterproof MP3 players can be a bit pricey, but this feature makes your worries at bay. You can run with music rain or shine if your MP3 player is waterproof. 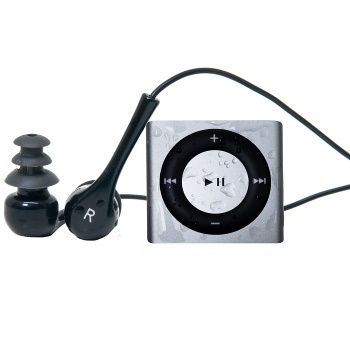 A waterproof MP3 player also allows you to play music while doing laps on the pool or doing your swimming exercises. Sound quality – The sound quality of the MP3 player makes relatively little difference compared with the sound quality of the headphones. I have some recommended Headphones for Running that have far better sound quality than the standard earbuds. 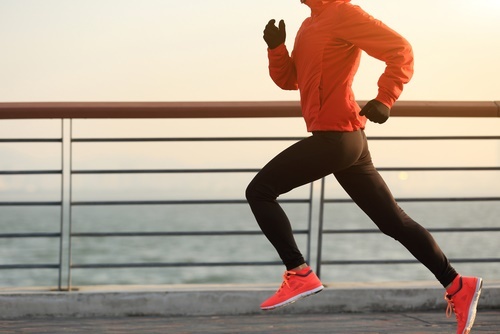 Bluetooth – The idea of not having wires to get in the way while you are running might sound amazing, but wireless headphones have their downside. To pair the headphone with your MP3 player can be a hassle. It also tends to drain your MP3 player’s battery faster than using the usual headphone. 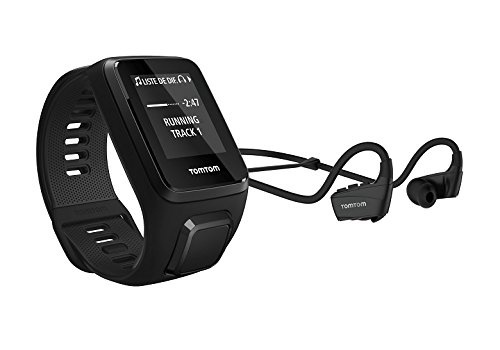 When you are looking for an MP3 player for running, it is best to consider the size of the device, its durability, the easily accessible clip or strap, button placement, and good battery life. Music is a great way to kick-start your workout routine and keeps you pumped as you go through it. It is only a must to find the best MP3 player that would help keep you going and would help you achieve that body you want to have.